If you were recently involved in a serious car accident in Denver or Eagle County, it can be difficult to think about anything but your injuries and your recovery. At the same time, we know how frustrating it can be to get hurt in a severe crash caused by another driver’s negligence. When you know the other driver bears responsibility for the collision, what should you do if that driver decides to blame you for the accident? When the other driver says you are responsible for the crash that caused your injuries, it is important to reach out to an experienced Denver car accident lawyer as soon as possible. You should know that, even if a court decides you do bear some liability for the collision, you still may be able to recover damages. Even if you think you might bear some responsibility for an accident, it is important that you never admit fault after the crash. Immediately after the accident happens, you may be in contact with the other driver, and you also will be speaking to your own insurance company. No matter what, only give the facts that you know. If you are asked about your opinion, and who you think might be liable for the collision, you should avoid providing any subjective information until you have spoken with your lawyer. 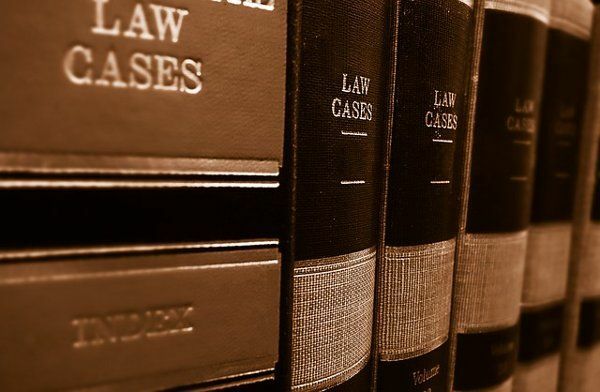 While plaintiffs who are partially to blame for an accident still may be able to obtain compensation for their losses, it is better to avoid giving the defendant any information to use against you. In short, the defendant may blame you for the accident in order to avoid paying anything at all. This is where is it important to understand contributory negligence in Colorado. Under Colorado law (C.R.S. 13-21-111), contributory negligence is not a complete bar to recovery as long as the plaintiff’s negligence is “not as great as the negligence of the person against whom recovery is sought.” As long as this is the case, the plaintiff can recover, but her damages will be diminished by her percentage of responsibility. Now, what does this mean in practice? As long as a plaintiff is not 50 percent or more to blame, she can obtain damages from the defendant. However, her damages award will be reduced by her percentage of the blame. To better understand, we can take a look at a hypothetical example. Imagine that Sheila is driving in downtown Denver and gets seriously hurt in a car crash after a motor vehicle traveling at 100 miles per hour crashes into her. As it turns out, Sheila was somewhat distracted when the accident happened—she had been reaching into the glove box to pull out her GPS. At trial, the defendant blames Sheila and says her distracted driving should bar her recovery. The jury decides that the defendant’s speeding was the primary cause of the accident but says Sheila is 20 percent to blame. The jury awards Sheila $500,000 in total, but her award needs to be reduced by her percentage of the contributory negligence. As such, Sheila recovers $400,000 (20 percent of $500,000 = $100,000, which is the amount by which Sheila’s award will be reduced). If the jury had said Sheila was 50 percent or more to blame, she would not have been able to recover anything. Are you being blamed for a car accident in which the other driver was negligent? A Denver car accident attorney can assist with your case. An advocate at Bloch & Chapleau can speak with you today about your options. Contact us today to learn more about how we can help.